When Clemente represents both sellers and buyers on his listings, he saves his sellers thousands by reducing the total commission to only 3.5% otherwise his sellers only pay 4%. The Maximum Clemente charges his sellers is 4% to Sell. He does not charge 5 or 6% like other agents do. 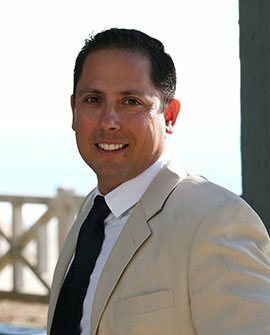 I have exceptional knowledge in the real estate market of the local Santa Monica, Mar Vista, Westchester, Culver City, Redondo Beach, Hawthorne, other Los Angeles areas and Palm Springs. I utilize cutting edge technology and aggressive Internet advertising to get your home sold for top dollar. I take pride in providing personalized service which means that I will be highly involved in the actual purchase or sale of your home. I work as a full time real estate professional and will make sure you are completely satisfied whether you are buying or selling. You can relax knowing you are in good hands with me. I use over 25 open house signs that direct buyers to your home for sale when you list with me. I use both traditional and non traditional ways of marketing your property for sale. I will get the results you deserve. I will help turn your dreams into reality and will help you build wealth for your future.